This deployment is an extension of a Trump policy that began in April, when the president called on border-state governors to send National Guard troops to assist Department of Homeland Security operations there. Nearly 2,100 guardsmen eventually were deployed, funded by federal dollars. “Instead of spending time at home with their families between deployments, a brigade of American soldiers will be erecting still more razor wire and deploying surveillance systems that can be used against not only border crossers, but potentially Americans living in the border region,” Eddington said in an email. The latest deployment “will only disrupt the lives and livelihoods of Americans in the border region, while doing nothing to fix America’s broken immigration system,” he said. But Rep. Adam Smith, D-Wash.,said he was “deeply troubled” by last week’s testimony, which included no hint of additional deployments on the same day that Shanahan was predicting that the border operation would require “several thousand” more troops. Smith, the chairman of the committee, said that was despite the fact that committee members asked Rood and Gilday “multiple times” about future deployments. 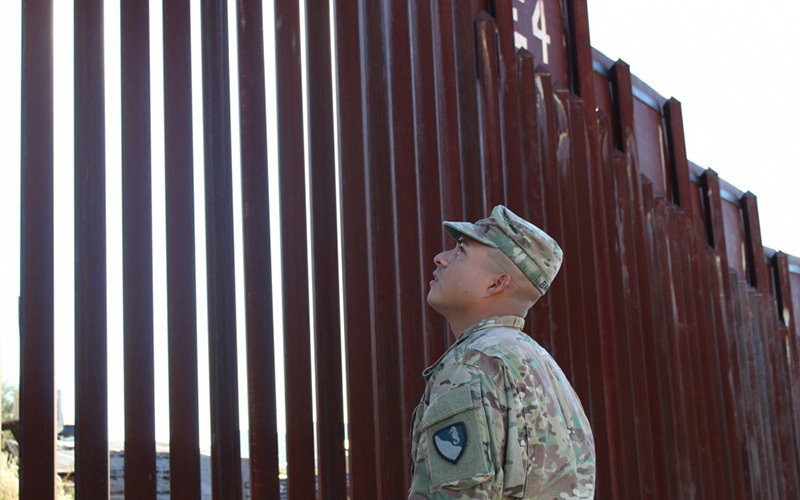 Other border-county sheriffs who have been generally supportive of troops’ presence did not immediately return calls seeking comment Monday on the latest deployment.